Dr. H. Dieter Hertzog, MD, is a board-certified ophthalmologist who has performed over 10,000 cataract and eyelid surgeries as well as eye injections and lasers during his career. He is a 4th generation ophthalmologist and a 5th generation surgeon. 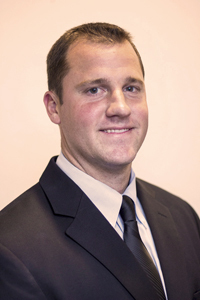 Dr. Hertzog earned his undergraduate degree in Biochemistry from Harvard University in 2005. 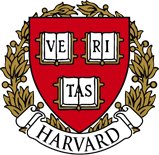 While at Harvard, he played Division-1A intercollegiate rugby – the highest level of college rugby in the United States. He was a member of the 2003 National Champion runner-up team that advanced unbeaten through the 64-team Division-1A playoffs, losing only to Air Force Academy in the national championship game. He started on the 1st team for two years and was named co-MVP as a senior. He earned his M.D. from Loma Linda School of Medicine. He finished ranked 1st out of a class of 169 students and was awarded the President’s Award as the top academic student in his graduating class. He is also a member of Alpha Omega Alpha – the national honor society for medical students. Dieter went on to complete an ophthalmology residency at the prestigious Doheny Eye Institute/USC Eye Institute, a program consistently ranked in the top 10 in the United States. A large portion of his training was spent at Los Angeles County Hospital where he logged over 1500 eye surgeries and lasers in one of the busiest hospitals in the U.S. During this time, he became well-versed in cataract surgery, trauma, and the treatment of a multitude of eye conditions including glaucoma, macular degeneration, and diabetic retinopathy. Dr. Hertzog subsequently completed a fellowship in oculoplastic surgery at Doheny Eye Center of UCLA, another ophthalmology program ranked among the top 5 in the U.S. He is well-versed in blepharoplasty and ptosis repair for drooping eyelids, as well as the removal of eyelid lesions and cancers with subsequent lid reconstruction. Dr. Hertzog also remains dedicated to education and research. He continues to teach cataract surgery, staffing the residents at USC in both routine and complex cataract cases. Between college and medical school he spent a year performing research, authoring and co-authoring several peer-reviewed publications. This included research examining genetic predispositions to macular degeneration and publications pertaining to keratoconus, glaucoma, and clear-corneal incisions in cataract surgery. He considers his greatest accomplishment to be his wife, Laura, and his 4 children. He looks forward to serving the vision needs of the Long Beach and surrounding communities as a member of the Hertzog Eye Care team.